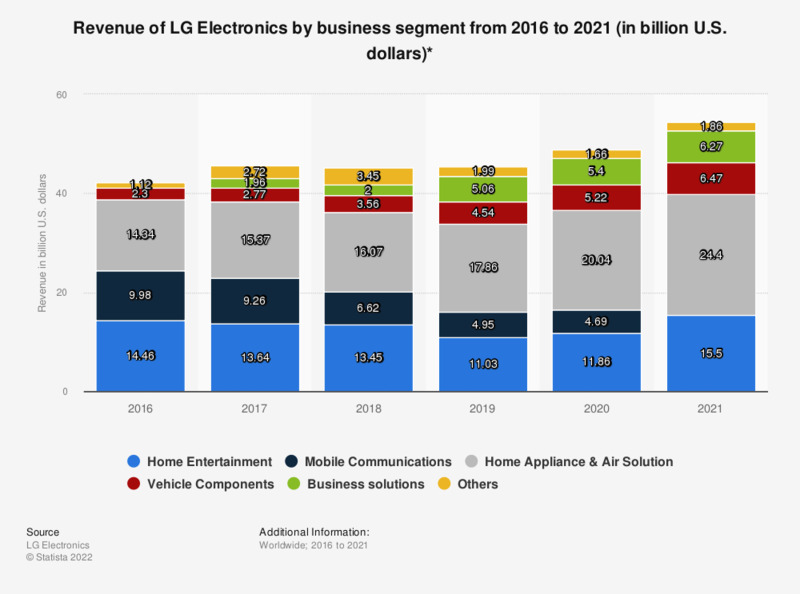 The statistic shows the revenue of LG Electronics from 2009 to 2018, broken down by business segment. In 2018, LG Electronic's revenue from its home entertainment segment amounted to 14.51 billion U.S. dollars. The South Korean electronics company divides its business into the business segments Home Entertainment, Mobile Communications, Home Appliance and Air Conditioning & Energy Solutions. *Starting from 2015, LG Electronics changed the breakdown of its business segments shown in their financial releases.